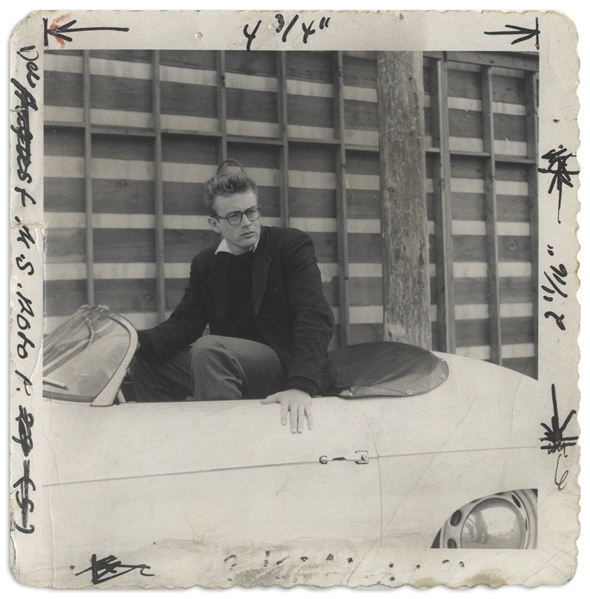 James Dean unpublished photograph, taken just weeks before his death on 30 September 1955. Image shows Dean during a photo shoot in his famous Porsche Speedster. 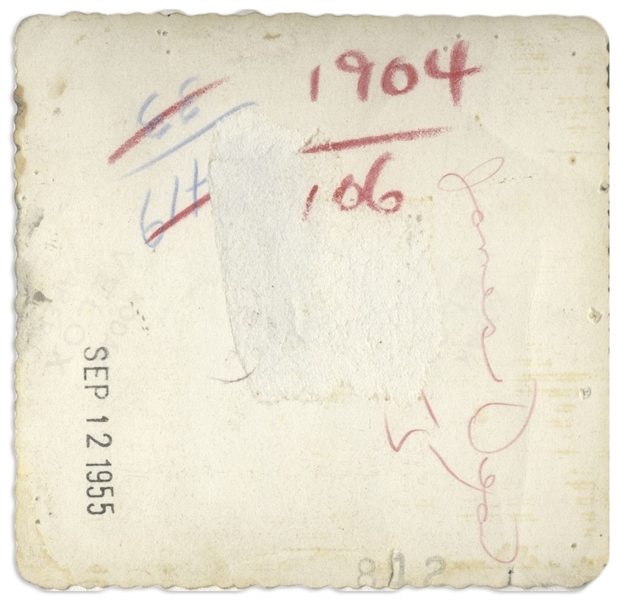 Photo measures 3.5'' square, with ''Sep 12 1955'' date-stamped on verso. Writing and pinholes to margin and light creasing, overall in very good condition.